Home Blog Tyrone Bell: Muscle Intelligence - Is There a Benefit to Taking BCAAs Outside of Training? Tyrone Bell: Muscle Intelligence - Is There a Benefit to Taking BCAAs Outside of Training? 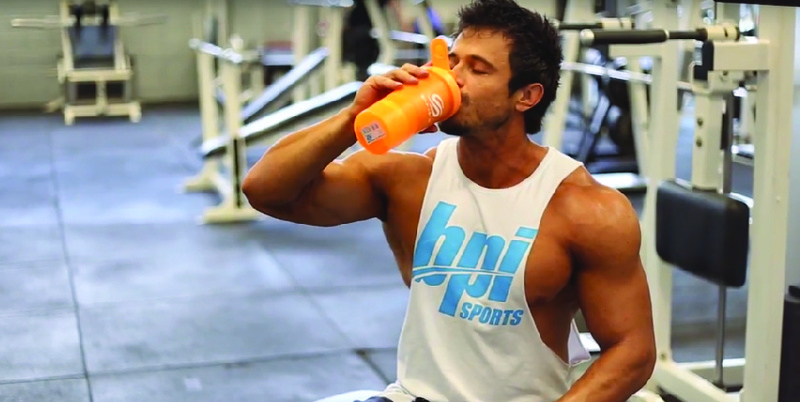 BPI Sports Expert Trainer, Tyrone Bell, created a series of videos to help explain some of the common questions he gets as a trainer. Here’s his explanation for the first: Is there a benefit to supplementing with BCAAs outside of training? “First of all, most of us understand that supplementing with BCAAs during training acts as lean muscle protection. When we train intensely enough, there comes a point where the body will burn amino acids as fuel. If we don’t have a readily available supply that’s easy to pull on, then the body turns on itself, literally breaking down your own muscle tissue to get what it needs. Taken intra workout, BCAAs help protect us from this. Now, taking them outside of training – does it hold any benefit? Absolutely, 100%, yes. From the point of view of protein synthesis and helping maintain an anabolic environment in the body as long as possible. When we eat, we’re supporting our bodies process of protein synthesis, which is the body’s process of building new, lean muscle. Protein synthesis comes to a stop approximately three hours after eating, so no more lean muscle going on. Consuming BCAAs approximately two hours after eating has been shown to prolong protein synthesis, keeping us in a more anabolic, muscle-building state for longer. Now you know! Keep an eye out for Tyrone’s next video and blog next week.